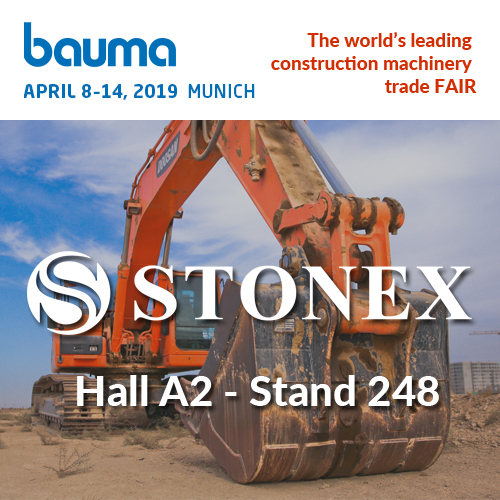 Stonex will be present at BAUMA 2019. The world’s leading trade fair bauma is the heartbeat of our industry. It allows you to experience the industry for construction machinery in its full dimension. This is the place to see the most important new developments from around the world. This is the place to meet international market leaders. This is where trade visitors find exactly the right solutions to meet their needs.